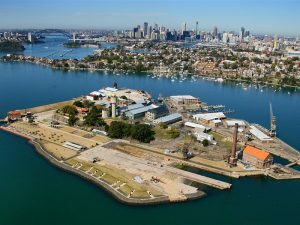 Since its inception in 1973, the Biennale of Sydney has provided a platform for art and ideas, showcasing the work of nearly 1,800 artists from more than 100 countries. Today it is considered one of the leading international contemporary art events, recognised for commissioning and presenting innovative, thought provoking art from Australia and around the world. With an average of 40 percent of visits made by people from outside of Sydney, the Biennale holds an important place on both the national and international stage. An average of over 640, 000 visits having been recorded across all venues and programs over each of the last three Biennales (2012, 2014 and 2016). Planning has already begun for our 21st exciting international exhibition with the announcement of Mami Kataoka of the Mori Art Museum, Tokyo as our Artistic Director for 2018. We have also announced a bold, new vision for the Biennale to be implemented over the next 2–4 years to build on the reputation of the Biennale. The CEO will be critical to the success of this transformative project. The CEO of the Biennale of Sydney reports to a Board, chaired by Kate Mills. The CEO is assisted by a team of full-time and part-time staff who are responsible for the artistic program, business development, communications, and administration. There is a core staff of 17 and the position manages five direct reports; Artistic Director, and the Heads of Exhibition, Finance & Administration, Development, and Marketing. The role of CEO is multifaceted and stimulating. The artistic and commercial success of the Biennale is his or her responsibility, and the role offers many challenges, but similarly many opportunities for considerable satisfaction and international recognition. The successful candidate will have proven leadership skills and a reputation for strategic thinking; exceptional business, communication, and administrative skills; a strong reputation based on a career in visual arts management and cultural administration; significant experience working with curators on major art projects/events in areas such as public museums, art galleries or festival administration; an outward focus, with international perspective and networks; and be results or outcomes orientated especially within tight financial constraints. Sydney, New South Wales, Australia. This position is based in Sydney but will require some interstate and international travel. Download the full information pack and position description here.